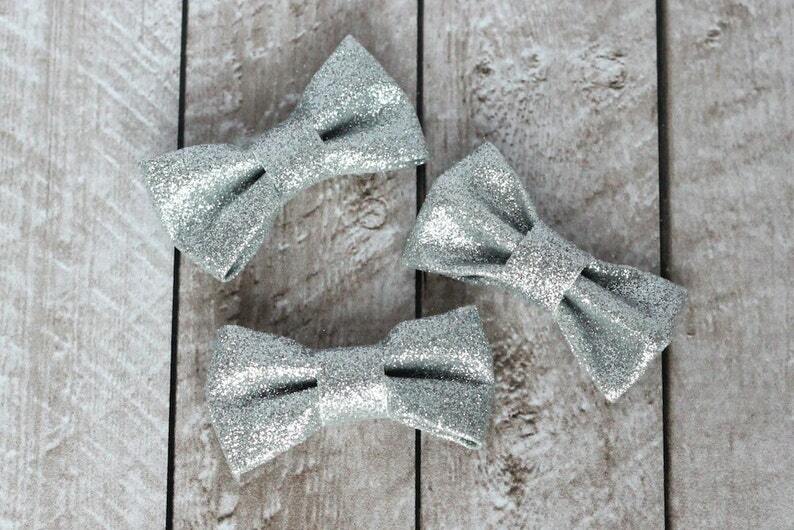 Set of 3 Silver Structured Glitter Bows. Perfect for DIY Headbands, Hair Accessories, etc. Measures approximately 2.75" wide. Need a different quantity or an assortment of colors? No Problem! Just send us a message and we would be happy to create a custom listing for you.